There is an issue here. 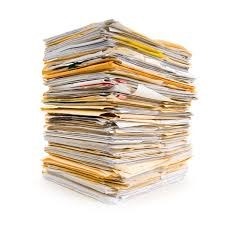 I/we get quite a lot of documents sent by the post that has personal information contained within the document. On the one hand, we are told by the financial sector, that we must destroy (I.e. shred) old documents that has this information yet on the other hand the Local Authority refuse department tell us that they “cannot accept shredded paper in the recycling bins, as it jams the (?) machinery”. 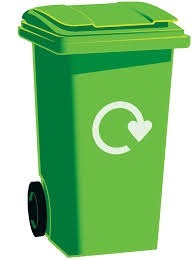 Their advice is to either put the general waste bin or “it is good to put on your compost heap!” Now, I do not know how many people have a compost heap, especially those who live in tower blocks, but the amount we shred is far too much to compost. We have a ‘Hot Compost’ bin that we do put some of the shredding in, but that can only take about 5% of it’s volume in paper. I know, I can get things like bank statements and the such as online documents, but there are some things, that you need as a physical copy for a length of time. Things such as mortgage agreements, hospital/doctors correspondence, old banking documents from before they were online etc. When my eldest sold his house, there were over 150 pages, from the bank that had some form of personal information on. Most of the sheets had this information in more than one place, making if difficult to just shred the important bits. Also, none of this includes the number of envelopes and packages that have names, addresses and often order numbers on. I did make a suggestion to the refuse department that maybe, upon request, they could supply some form of bag that should be used for shredded paper. They would then be able to prevent this paper from ‘jamming’ their machine. I’m not holding out for a favourable response. So what the Local Authority is saying is that if you do as the bank tells you, it will go into landfill. In my opinion, that is not good enough! Next postCan only get better … can’t it?